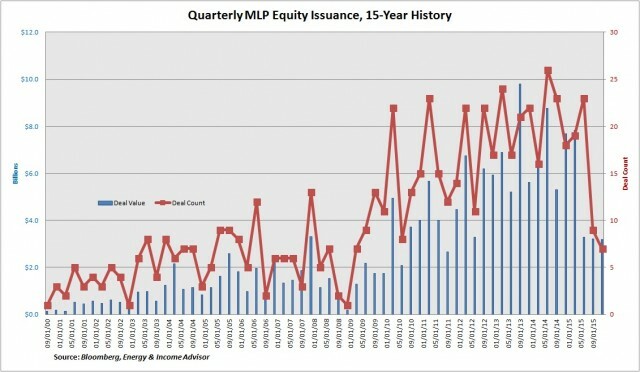 In addition to eroding investors’ returns, the indiscriminate selling in the MLP space has increased the Alerian MLP Index’s yield to more than 8.4 percent. Meanwhile, 59 of the publicly traded partnerships tracked in our MLP Ratings yield more than 10 percent—usually an indication that the distribution could be at risk. 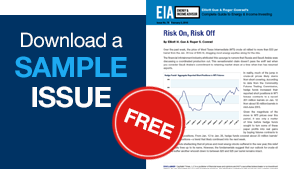 Our graph tracking aggregate quarterly MLP equity issuance over the past 15 years plots the US energy landscape’s evolution, with the total deal value and volume ballooning from 2010 to 2014 to support the shale oil and gas boom and take advantage of robust investor demand. 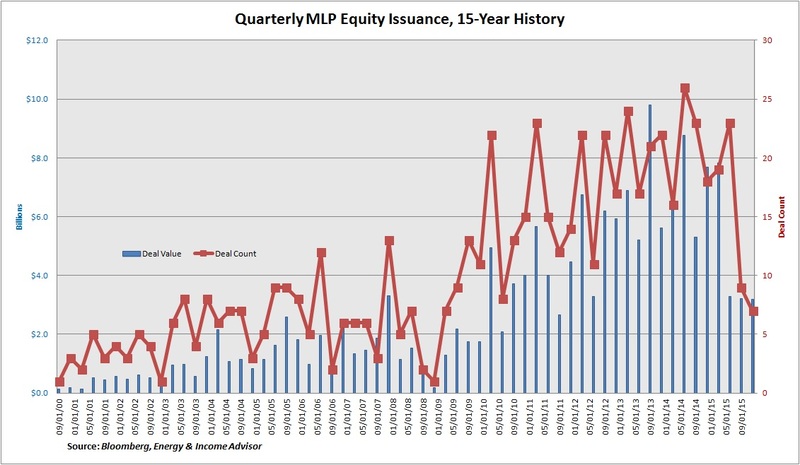 Thus far in 2015, the total value of MLP equity issuance ($11.05 billion) stands at 58 percent of last year’s level. 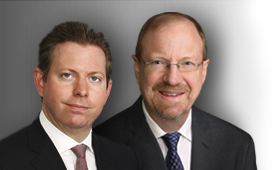 Recent payout cuts announced by former MLP Kinder Morgan (NYSE: KMI) and Teekay LNG Partners LP (NYSE: TGP) have underscored the dangers associated with constrained access to debt and equity markets. This selloff extended to Dynagas LNG Partners LP (NYSE: DLNG), Gaslog Partners LP (NYSE: GLOP) and Golar LNG Partners LP (NSDQ: GMLP), as panicked investors worried that this move could reflect weakness in the global LNG shipping market. In reality, Teekay LNG Partners’ decision to retain cash flow self-fund its projects wouldn’t make sense for these three MLPs, all of which depend on drop-down transactions for growth.